Microsoft released another new build (preview build: 17101), as part of the Redstone 4 development, to the Windows Insiders in the Fast Ring. They have also announced a new Skip Ahead build 17604, which is the first public build from the new RS5 prerelease branch. Though there are no significant changes in build 17101, but it contains a set of improvements and fixes to stabilize the final release going to happen in Spring 2018. What's new in Windows 10 preview build 17101? 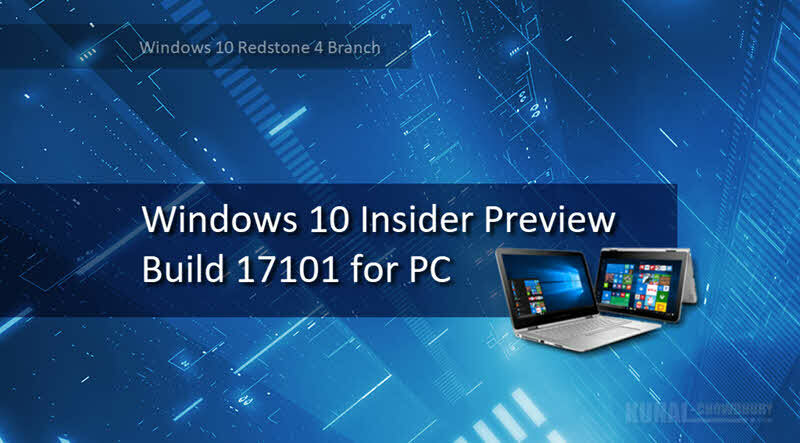 The new insiders preview build 17101 does not contain any significant changes, but contains a few improvements on top of the previous build 17093 and a set of bug fixes. Starting with build 17101, Windows 10 updates the design of its emojis, and brings the search support to more locales. Now you can find an emoji by keyword in over 150 locales, including English (Great Britain), French (France), German (Germany), Spanish (Spain), and more. This will help you get the emoji you want easily and quickly. With this build, you will now get more control to the App Permission of your UWP application. You can now decide which UWP apps can access your full file system. In the Privacy settings page, you will now find a new File System section that allows you to grant Microsoft Store apps permission to have full file system access. As part of this build, Microsoft introduced a new power policy called Ultimate Performance, which will be available to Windows 10 Pro Workstations. The new policy is based on the current High-Performance policy, and it goes a step further to eliminate the micro-latencies associated with fine grained power management techniques. The Ultimate Performance Power plan is selectable either by an OEM on new systems or selectable by a user. As part of the continuous improvement program, Microsoft performed some additional tweaks in this build. They have also fixed a numerous bugs along with Windows 10 build 17101. To read the complete list of fixes, check out the original 'Release Notes' shared on the Windows Insiders blog. This build also contains few Known Issues, that includes the Settings page crash, Explorer.exe crash and few more. Don't forget to check the list before downloading this build. If you have come this far, it means that you liked what you are reading ( Windows 10 build 17101 released to Windows Insiders in the Fast Ring).